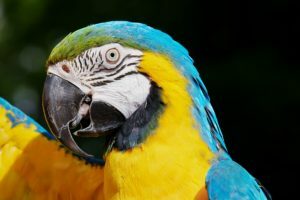 Lovebirds are intelligent and active birds that originate from the African continent. Like most birds, lovebirds will need a large cage so they don’t become stressed. That’s why it’s very important that you try to get the largest cage you can comfortably fit within your home, and your budget. With this in mind, we recommend the Prevue Hendryx F040 (Buy Online) for larger spaces, and the Lovebird Cage With Stand (Buy Online) if space is limited. 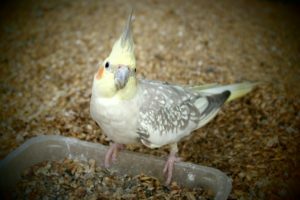 Continue reading this article for more in-depth ratings and reviews of the best cages for lovebirds. 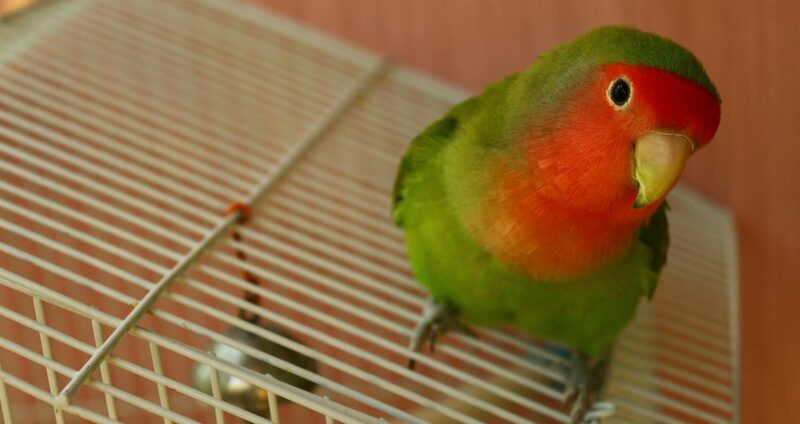 A cage that measures 18”W x 18” D x 24”H is the minimum cage size for one lovebird. 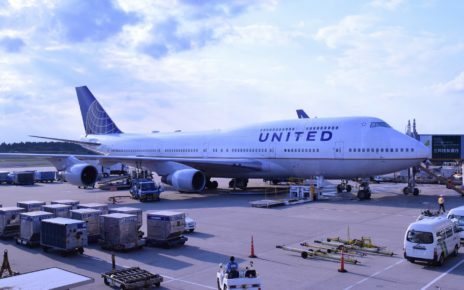 This comes out to a total internal volume of 7,776 cubic inches. 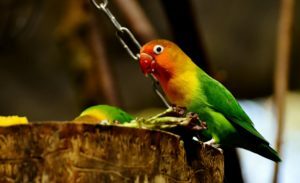 Moreover, any habitat that meets these minimum lovebird cage requirements will easily house a pair of lovebirds as well. 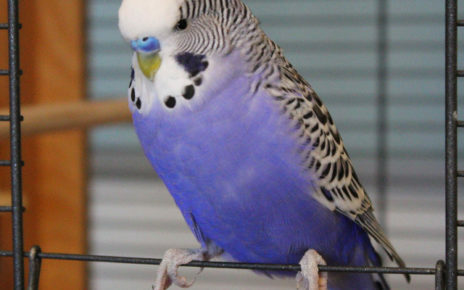 All perches in the cage should be at least 4 inches long, and they should have a diameter of 0.5 inches. 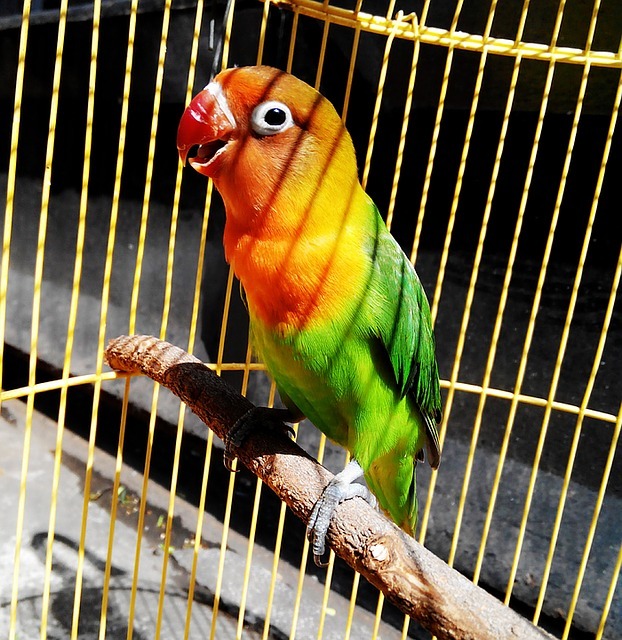 A lovebird cage will also need to be elevated off the floor on a stand that is at least 1 to 2 feet tall. 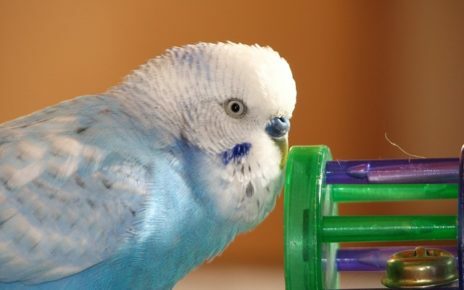 You might also want to get a cage with a play top, in order to give your lovebird more room to explore when you’re home. The Prevue Hendryx F040 (Buy Online) is one of the best cages for lovebirds you can buy. This cage measures 31”L x 20.5”W x 53”H, and it has a 1/2-inch wire spacing. It is also relatively light since it only weighs 19 pounds. If you are looking for a large cage then you can’t go wrong with the Prevue Hendryx F040 thanks to its affordable price and large size. The F040 will easily fit 3 to 4 lovebirds, or you can get the Prevue Hendryx F050 if you want to house up to 6 lovebirds. The Prevue Hendryx F040 flight cage has two convenient doors on each level, so you will always have easy access to the interior of the cage at all times. The bottom slide out drawer is also very lightweight and simple to clean. This cage also comes with four plastic double cups that hold both water and food. You also get 3 full-length wood perches. In addition, the whole cage is made of durable wrought iron, so you can be sure it will last a long time. The Prevue Pet Products Wrought Iron Select Bird Cage (Buy Online) has everything you want in a high-quality love bird cage design. This cage measures 24”L x 20”W x 60”H, and it has a 3/4-inch bar spacing. This cage weighs 65 pounds when fully assembled, which makes sense since it has such a sturdy design. The Prevue Pet Products Wrought Iron Select Bird Cage has one large front door, which will make it easy to do maintenance. There is also a seed guard around the base of this cage, which will help keep any messes from ending up on your floor. This cage also has an integrated stand with casters, so it will be very easy to move around. This cage also comes with four stainless steel cups, that can be mounted in the cage or on the play top stand. You also get two wood perches with this cage. One of the perches can be mounted on the play top stand, while the other fits across the full length of the cage. In addition, the play top has a litter pan beneath it, so no droppings will fall through the cage. The Lovebird Cage With Stand (Buy Online) has a unique little love bird house design. This cage measures 18”L x 14”W x 35” H, and it has a 3/8-inch bar spacing. When this cage is fully assembled and placed on the stand it weighs 50 pounds. The detachable stand does have casters though, so this cage will still be very easy to move around. The Lovebird Cage With Stand has two large swing out front doors. There is also two small slide up doors on the front of this cage, so you can easily add food and water without opening the large front doors. The plastic litter tray is also very lightweight, and it has a smooth surface so all you will need to do to clean it is give it a wipe. This cage comes with four plastic bowls, that can hold both food and water. Three wooden perches and a swing are also included with this cage. 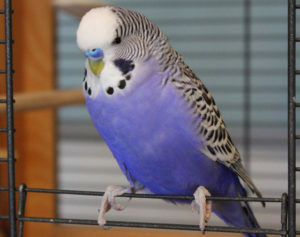 All three of the perches are full length, and the swing can be mounted to the top of the cage. The Lovebird Bird Cage – Open Play Top (Buy Online) offers ample room for your lovebird both on the inside, and on the outside. This cage measures 23.2”W x 23.2”L x 59”H on its stand, and the inside of the cage measures 19.7”W x 19.7L” x 31.5”H. This cage is also relatively lightweight since it only weighs 23.3 pounds. The Open Play Top – Lovebird Cage has one large front door, which measures 14.8-inches long by 9.4-inches wide. This cage also has an integrated stand with removable casters, so you can easily move it, or you can remove the casters if you don’t plan to move it all the time. This lovebird cage also comes with two stainless steel cups, that can be mounted on the two small swing out doors. You also get two full-length solid wood perches with this cage. 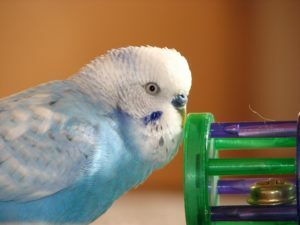 One of the perches is made to hold open the play top, while the other perch can be permanently mounted inside the cage. In addition, the slide-out litter tray is made of plastic, and the wire frame is coated in epoxy, so every surface will be easy to clean with a damp cloth or a wet wipe. This Large Bird Cage with a Play Top (Buy Online) is perfect if you need a large love bird cage setup. This cage measures 24”W x 17”D x 53”H when placed on the stand, and it has 1/2-inch bar spacing. The internal measurements of this cage are 24”W x 17”D x 30.7” H, which means it has an internal volume of 12,525.6 cubic inches. This cage is just about the right lovebird breeding cage size, or you can keep 3 to 4 love birds in it quite easily. This cage also comes with a metal stand with casters, so you can move it very easily despite its large size. This Play Top cage has a single large front door, which means that you will have easy access to everything inside. The cage also has secure locking latches, so you won’t have to worry about your bird escaping anytime. It also comes with four clear plastic cups, that can be mounted near the four small feeder doors. There are also two full-length solid wood perches included with this cage. In addition, the solid wrought iron frame is very durable, and it will not chip or rust over time. This Best Choice Products Bird Cage w/Rolling Stand (Buy Online) is one of the most full-featured large love bird cages for sale. This cage measures 24”L x 22”W x 33.5”H and it has 3/4-inch bar spacing. Moreover, when this cage is fully assembled it weighs 50 pounds. The Best Choice Products Bird Cage has one large front door, with a secure latching design. The snap lock latch system ensures that even the most clever bird won’t be able to escape this cage. This cage is also very easy to maintain since it comes with a wrap around seed guard and durable metal litter pan. This cage comes with three stainless steel bowls, that can be mounted near the three feeder doors, so you can give your bird food and water without opening the main door. You also get one large full-length solid wood perch that can be mounted inside the cage. Then there is another perch that can be mounted to the play top stand. The play top also comes with two metal bowls, and a ladder, so your lovebirds can have a great time. There is also another litter pan on top of this cage, so any waste or food won’t fall on any birds inside.